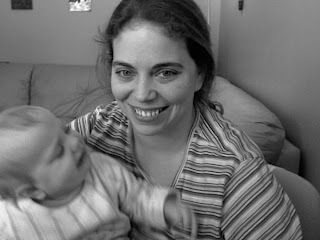 So here we are on day one of 2008.
and 32 year old me... holding a squirming fussy baby... of course. Happy New Year everyone. look at you going all black and white! You really do have a beautiful family! Happy New Year. Those pictures are great!! You have such a beautiful family Tara! !